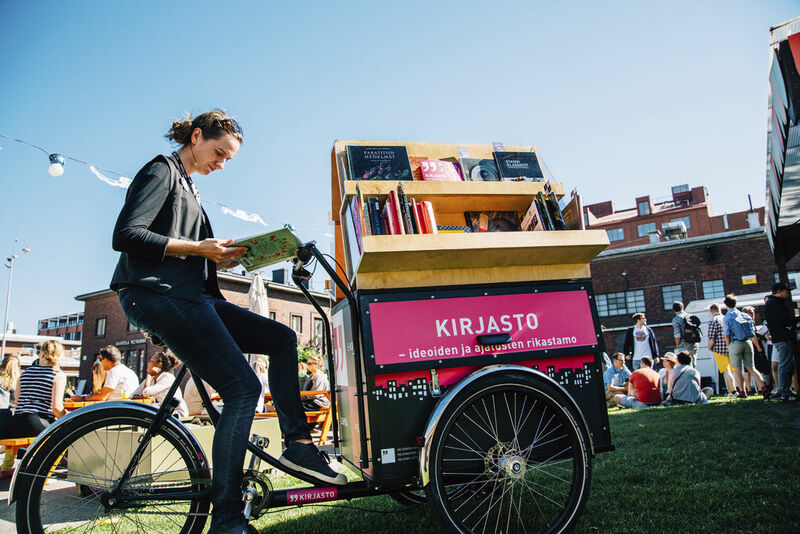 Smart Kalasatama’s Programme for Agile Piloting buys small pilots providing new innovative services for people living in the Kalasatama area of Helsinki. The Programme helps to accelerate ideas to service innovations and new business. It is a chance to reach users in a real life setting. “We are looking for innovative neighbourhood services to complete the city’s service offering and to assist the citizens in their everyday life. In practice the solutions should improve for example the accessibility and coverage of different services, and widen current service offering. As a result from these pilots, we want to learn how new agile service could be developed for the health and wellbeing centres of the future”, says Medical Director Lars Rosengren from the City of Helsinki Department of Social Services and Health Care. A health and wellbeing centre will be opened to Kalasatama in 2018 and the centre’s space and service offering is currently in design and development phase. Different services will be offered under one roof not just for efficiency but to better match the varying, unique needs of the residents of the area. “Even though the distances in Helsinki are rather short, the residents wish to have their services as close as possible, for example in their own home or neighbourhood quarter. For this need a video consultation between doctors and patients might not be the smartest solution. It most likely won’t improve the accessibility, productivity and impact of the services, when we have the same limited resources of doctors. Now we are looking for new, innovative neighbourhood services that ease the everyday life and produce wellbeing”, Rosengren says. Interested to offer a pilot? Who can offer a pilot? SME’s, start-ups, bigger companies, registered associations or university groups – we welcome all offers from registered actors. The pilots may also have funding from other sources. We are looking for agile pilots that can be executed during 1-6 months. The pilots need to provide a user-driven service experience to the citizens. The first innovations were selected in 2015 and are piloted in Kalasatama during spring 2016. You can read more about the selected pilots from here. By 2017, the aim is to procure 9-20 pilots altogether. In 2015–2017, the Smart Kalasatama project is funded by the 6Aika Six City Strategy (European Regional Development Fund via the Helsinki-Uusimaa Regional Council), the City of Helsinki and the Ministry of Employment and the Economy. Smart Kalasatama project is coordinated by Forum Virium Helsinki. Read more about the project from http://fiksukalasatama.fi/en/.